Since 2014, Vacon and Danfoss have teamed up together to become the industry leaders of AC drives around the world. Following the success of this merger, at Bauer GMC we can confidently say that a fruitful tomorrow will be driven by Danfoss drives, also known as AC drives. AC drives are known for their ability to control the speed of electrical motors in varying devices. A great AC drive can help reduce energy usage, enhance control, and optimize operations in different machines. 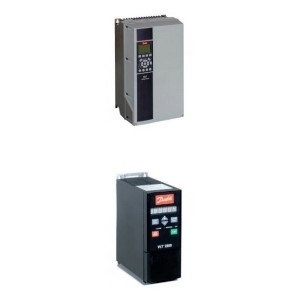 At Bauer GMC, we offer a wide selection of Danfoss drives for varying applications! Driven by Drives: Danfoss gives 100% when manufacturing and innovating high-quality, application-optimized AC drives. Danfoss drives can help save energy by maximizing process performance and minimizing emissions. This is the primary reason why our business, Bauer GMC, has partnered with Danfoss. We share the same goal of providing a competitive product to our valued clients across different industries. Within the ever-changing world of AC drives, we put great stress on agility and speed in every area of our business. Trendsetting Technology: There are many trends concerning drives technology today that are well recognized and addressed by innovating better product that can help the environment and your business. This is made possible with the decades of experience in the industry that specialize in motor control management and other application. With this, Danfoss drives are able to become technological trendsetters. The products we proudly distribute help push the limits of innovation and enable us to achieve more in the future with less. Independent Technology: Danfoss AC drives differ from others because of their independence from motor and control systems. This means you can select the motor technology that will suit your specific application, ensuring improved energy consumption and performance. It results in achieving energy savings as high as 60%. At Bauer GMC, we are proud distributors of a wide selection of high-quality Danfoss drives and other products. Our products are perfect for your industrial applications. No matter what industry you are in, if you are looking for a new AC drive, we got you covered. Call or email us today to learn more about our products and services!